Looking Closely at Clouds Scientists must unlock the cloud secrets about how they affect the warming and cooling of the Earth, and how they have changed since the dawn of the industrial age, when humankind started pumping pollution particles into the atmosphere. Enlarge Image. Results: Time travel is not an option. Scientists have to look at today's clouds to understand how they work. But, accurately capturing clouds' impact on the climate in computer climate models has proved to be notoriously difficult. A new study in the Proceedings on the National Academy of Sciences suggests why. Either the models are failing to capture clouds in sufficient detail, or the tiny airborne particles that help trigger cloud formation, called aerosols, are now so pervasive in the atmosphere thanks to modern-day pollution that their specific effects on clouds are hard to pin down. Researchers from Pacific Northwest National Laboratory found at least two ways to potentially improve how the clouds are simulated in climate models. One is to better differentiate cloud types in models to account for their variability. Another would be to study clouds that are not influenced by the pollution that humans have been putting out since the Industrial Age started. "We might have to find clouds far away from civilization," said study author Dr. Steve Ghan PNNL Laboratory Fellow and atmospheric modeler. "There are parts of the world that are pretty darn clean." Why it Matters: It's just a fact of a climate researcher's life: there are either no scientific observations from pre-industrial days, or the data that can be gathered may be marked with the brush of modern times. So it is with trying to understand today's cloudy skies. To know how much clouds have changed over the centuries, researchers need to understand what clouds looked like before humans pumped decades of pollution into the skies. Why do the researchers care so much about clouds? Clouds—if they unlock their secrets—could tell a remarkable story about what goes into the atmosphere, what happens when it gets there, and how it affects the very basic needs of humankind: warmth and cooling, climate, precipitation, and breathable air. Research turns to models to solve these problems because working out how they behaved before the Industrial Age might ultimately help us better determine how much the world will eventually warm up. Methods: To see how well cloud and aerosol measurements are represented in today's climate models, PNNL's Ghan and colleagues compared different models to each other and to measurements and examined how they re-created the past and present. They did this by essentially taking apart the simulations and testing the pieces. The team looked at the results of individual components of the equations that make up the simulations. The relationship between the pre-industrial and present day values of any given component, say, the changes in the concentrations of cloud droplets resulting from a change in aerosols, should be the same across the nine different computer models they tested and should be reflected in data from observations. What's Next? Additional research is needed to figure out why pre-industrial clouds differ from today's clouds. The research points in several potential directions to solve this question. 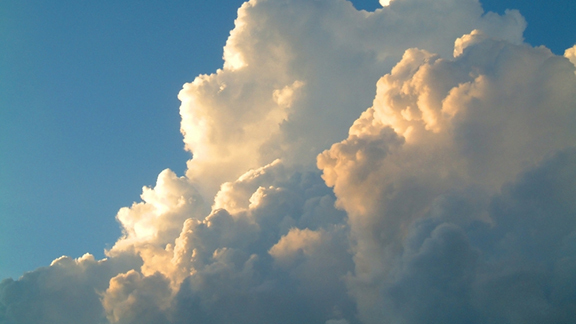 One, clouds may be more complex than currently represented in models. Two, today's clouds in regions of the world where observations are made are never as clean as they were in pre-industrial times. Scientists can explore this option by studying clouds in pristine regions of the world, such as in the southern hemisphere between the latitudes of 40 and 50 degrees. A third explanation could be that the equations used to represent the cloud-aerosol interaction aren't quite right and need to be revisited. In the future, distinguishing between these options may help scientists shine light on cloud modeling's cloudy history. For more information, read the PNNL news release, "Cloudy problems: Today's clouds might not be the same as pre-industrial ones." Sponsor: The research was supported by the Department of Energy Office of Science Biological and Environmental Research for the Decadal and Regional Climate Prediction using Earth System Models (EaSM) program supported by the Regional and Global Climate Modeling program; and the Earth System Modeling program. Additional funding was provided by the One Thousand Young Talent Program, Jiangsu Province and the National Natural Science Foundation of China. Facilities: A portion of the work was performed using PNNL's Institutional Computing resources. Research Team: Steve Ghan, Hailong Wang, and Kai Zhang, PNNL; Minghuai Wang (formerly of PNNL), Shipeng Zhang, Nanjing University; Sylvaine Ferrachat, Ulrike Lohmann, and David Neubauer, Institute for Atmospheric and Climate Science, Zurich, Switzerland; Andrew Gettelman, and Hugh Morrison, National Center for Atmospheric Research; Jan Griesfeller, Norwegian Meteorological Institute, Norway; Zak Kipling, Daniel G. Partridge, and Philip Stier, University of Oxford, UK; and Toshihiko Takemura, Kyushu University, Japan. 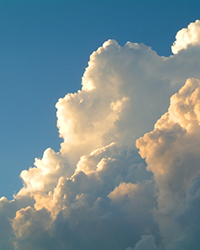 In one sentence: Researchers at PNNL and collaborators found at least two ways to potentially improve how clouds are simulated in climate models.